Obtaining a student loan is a major financial responsibility, bringing with it an ironclad obligation to repay. However, for many college students, it is the only available option that permits them to afford college, and finishing college is critical to your future earning potential. So while you do have the choice to borrow or not borrow, the consequences of not borrowing are usually considered the more serious of the two. This page will provide a succinct review of the standard repayment options offered to graduates who are having trouble meeting a normal payment schedule due to a temporary diminution in earning capacity. When you learn about what types of flexibility you can use to fine-tune your repayment schedule, making it fit your circumstances, you'll be much more confident in your ability to handle the duties that come with paying back a loan. With so many different ways to tailor repayment, this helpful information will give you a much better idea of which plan suits your needs. The standard repayment plan means you pay the same amount on your loan during the lifetime of the loan, the entire period that you owe money. This is the plan most people use, although in many cases you are not given a choice of payment schedules. Rather, many lenders simply tell you what monthly payment amount they require from you, and tell you how long you'll have to agree to make those payments. The only time payment amounts change in standard repayment is if you have a variable interest rate or if you are nearing the end of your repayment plan, at which time the monthly amount becomes less. Payment amounts are often stated as minimums, meaning you can pay more any month you can afford to do so. You don't have to make a special request in order to be placed on the standard repayment plan, because that is the traditional structure of most consumer finance loans. But if you want to avail yourself of an alternate repayment plan, then you will need to make special arrangements with your lender. Graduated repayment is a convenient plan that adjusts to your initial earnings at the beginning of your career. The time when you first leave college and begin your independent life can be financially challenging for the first few years as you find your feet in the world. You're venturing out on your own for the first time, and you're now expected to pay your own bills and meet your own living expenses. Adding an expensive student loan bill to the amounts now coming out of your wages complicates your personal balance sheet, and it's critical to make sure you maintain the ability to cover all your costs each month without falling behind. For some new workers, it may be impossible to do that without reducing student loan payments, and lenders recognize that hardship often befalls those just out of college. That's why a graduated repayment plan may be perfect for you. 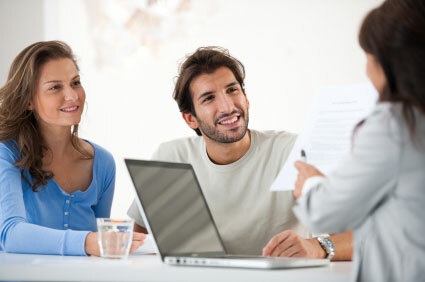 You will pay a lower amount each month, possibly as low as only the interest on the loan. As your wages increase, your loan payments will be higher. You should be aware that interest continues to accumulate, and paying less, which stretches out the term of the loan, means you will repay more money all told. The extended repayment plan allows you to make low monthly payments for the duration of your loan, which will require paying for a longer period. For many student loans, you can extend the repayment period to up to 25 years, which you will need to do in order to repay all the principal and accrued interest more slowly. Although your total payment amount will be greater, the extra cost may be worth it to keep your monthly bills manageable. The income contingent repayment plan is perhaps the most logically elegant solution to making repayment less burdensome. In this plan, your monthly payments will be based on how much you currently owe, your monthly income, and the size of your family. That makes it perfect for those individuals who wish to work in a field that does not pay a great deal, such as public service or a career with a nonprofit organization. Another option is the income sensitive repayment plan, also called the income-based plan. This plan means your monthly payment will be based on how much money you bring home during any period in which you have what is called partial financial hardship. The amount of your payment may be adjusted each year, and the complete term of your loan may extend past 10 years. If you adhere to these terms, you may be eligible for cancellation of any remaining loan balance. The income sensitive repayment plan means you will end up paying more in interest, but it can help you maintain good credit and avoid going into default on your loan. You will need to make a special application, including income information, in order to qualify for this plan, as it is based on your monthly income. In conclusion, nothing about student loan repayment is immutably fixed. Lenders are very familiar with the difficulties that beset those who are just beginning to establish themselves as independent financial entities. That is why they've devised the various repayment plans, to help you fit your student loan obligation seamlessly into your new life. If you make a little effort, your lender will meet you halfway to help you succeed in repaying without problems.